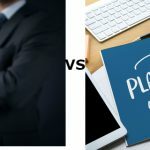 There are various methods for tackling the activities of an organization available to us nowadays, and leaders have no shortage of tools to help them get the job done. Among the various techniques available, the trend is generally leaning towards solutions that can solve problems in a timely and efficient manner, minimizing the number of steps required to reach an acceptable state. 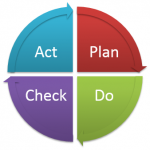 The PDCA method is based on four steps which make up the acronym of its name. The steps are specifically plan, do, check, and act. Some variations of the method add an extra fifth step preceding all others – observe – but the traditional version is based on just the four main steps. 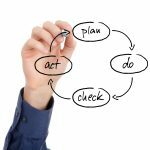 Whether you’re going to implement the modified five-step version or go for the original is up to you, but understanding the meaning of each step is critical in implementing PDCA correctly. Do – as the name implies, this is where you put the plan from step 1 into action, and fully implement all of its elements. It’s important to follow the original plan all the way, even if it turns out that there is some room for improvement. Find ways to quickly implement your solutions, so you can find out right away whether it works or not. Check – this is the step where you’ll actually put the data you collected in earlier steps to use. Using all the data collected in the analysis, and combining it with additional data from the plans you developed in step 1, you should be able to see emerging patterns of change or improvement. 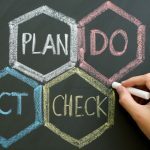 Analyzing the results of implementing the PDCA method is as critical as the correct implementation of the first two steps, as otherwise you’re not going to know if there was actually any benefit to what you did at all. Sometimes, this step is called Study, or PDSA. Either way, we need to decide what happened, and decide what we need to do next. Act – finally, if your results show that there is a clear improvement in the operations of the organization from the implementation of PDCA, then you have to continue doing the same thing in the future. Take what you’ve learned from your experiments with PDCA, and implement it into the standard operational routine of the organization. This should now be the norm for how things are done, unless of course the company runs into another problem in the future. In that case, you can easily run another iteration of the PDCA method and improve the situation again. As you can see, the PDCA method is highly flexible and can lead to continuous improvement without much hassle. As long as you keep evaluating the results of your company’s work in an objective manner and keep the past data in mind, you should be on the right track. It’s a simple method, but it’s proven to be highly effective for multiple reasons. 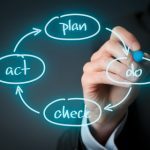 There’s a reason why PDCA is still being applied in many organizations around the world in one form or another, and even though the core method has been modified significantly over time, the basic idea stays the same, and the four steps can still be easily identified in any modified version of the same system. With time, you’ll likely learn to identify the system in other environments as well, and you’d be surprised how often it’s employed in the world around us with great degrees of success. 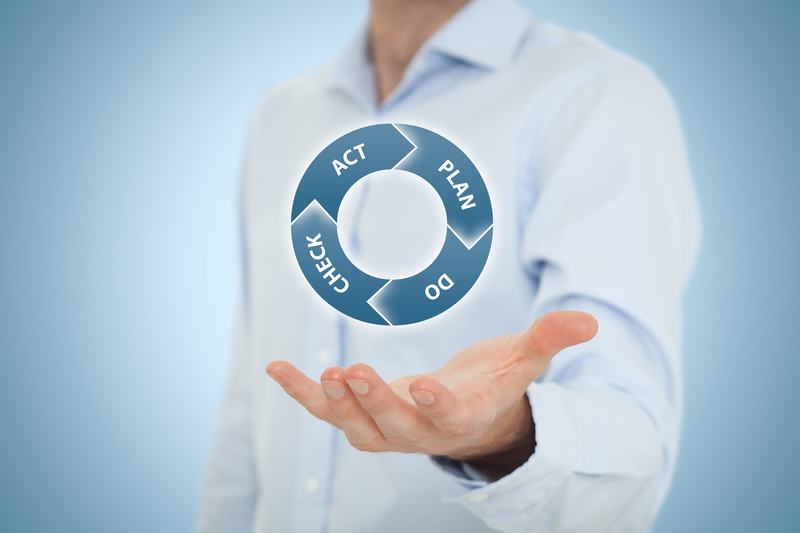 PDCA Cycle or PDSA Cycle – Which is Right? 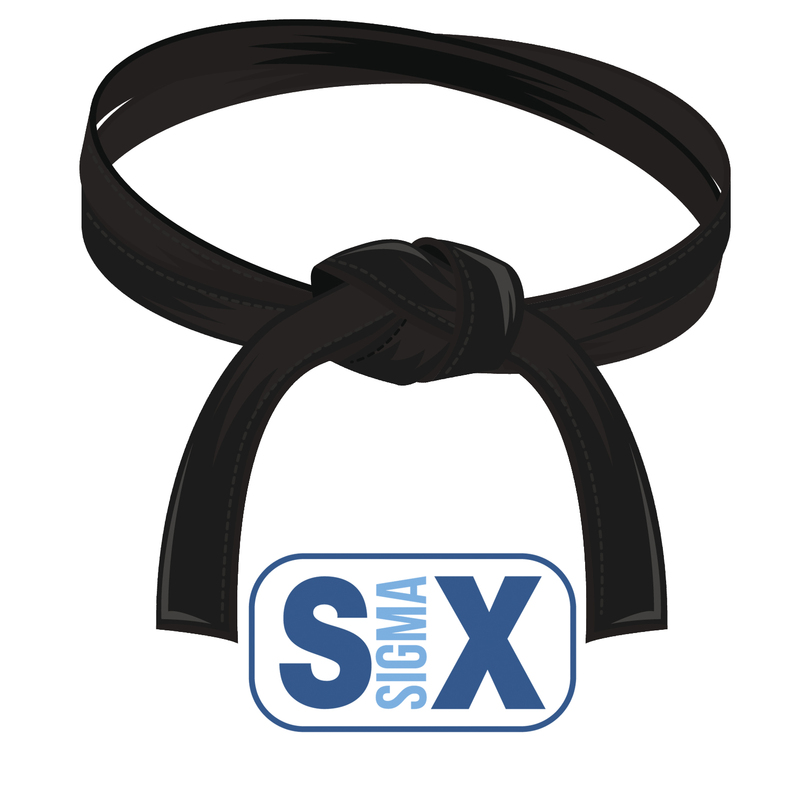 What is PDCA in Six Sigma?